The Stag has been getting a lot of attention in the Irish press because it seems to be one of the most patriotic Irish films made in recent years. This is an Irish film that is not about the Troubles, is not sombre about Ireland’s past or particularly worried about the Ireland’s current problems – failing banks and Church scandals. The characters are the kind of characters that would appear in a Woody Allen film if he ever included Dublin as part of his European tour. But does that make it any good? Fionnan (Hugh O’Conor - the kid from Lamb) is getting married to Ruth (Amy Huberman) and is getting seriously involved with the wedding planning. Ruth thinks that he needs a break and that the wedding planner needs some peace, so she enlists Fionnan’s best friend Davin (Andrew Scott) to convince Fionnan to go away on a stag. He succeeds, and their friends Simon (Brian Gleeson) and the Kevins (Michael Legge and Andrew Bennett) agree to come as well. However, Ruth insists that they invite her brother The Machine (Peter MacDonald), despite the fact that everyone thinks he is a total eejit. They are desperate to avoid him but are ultimately forced to take him along. Comedic reversals and complications ensue. The Stag is gleefully conventional and it feels very much like a Hollywood film. The six men each have their problems – all of which are resolved by the end of the film with a little help from their friends – but the film is far too optimistic to get bogged down with these. The overall impression of The Stag is of a film that is trying to brighten what can often be a rather dark national cinema and an even darker national psyche. The majority of the film is concerned with The Machine’s unorthodox attempts to help these five men learn to love life (and being Irish) again, learning some of his own lessons in the process. His success and his speech at the big wedding that finishes the film suggesting that we should forget about the banks and the Church and revel in being Irish and having a good time, have allowed suggestions that The Stag is that rarest of Irish films, a patriotic film. This, sadly, is unconvincing, since the wedding is so tacky, so cheesy that it can only be dismissed, an awkward attempt at heartfelt grand statements that fails to chime with the rest of the film. It is all too clear that, while they may have fun at this wedding, tomorrow they will be back worrying about their troubled love lives and serious financial debt. It is also a bit of a cheat, especially the fact that the lonely and heartbroken Davin manages to get a plus one for the wedding but we are never told who she is and the camera awkwardly avoids giving her a close-up. Meanwhile the issue of Fionnan’s dad’s (John Kavanagh) homophobia and his refusal to accept the two Kevins – one of whom is his son – is cleared up much too easily. However, although the film’s message is unconvincing, it is pleasingly entertaining and pleasantly honest in its emotions – at least until the wedding scenes. There is a great moment, surprising in its length, in which Davin tearfully sings Patrick Kavanagh’s poem “On Raglan Road”, the lyrics clearly meaning a lot to him. Director John Butler holds the camera on him, on a close-up, only rarely and briefly cutting away, and allows the poem – sung almost in its entirety – and Scott’s performance to speak for themselves. It is a surprisingly artistic moment in a film that would have otherwise not been too far away from an irritating Apatow film. In other words, despite the obvious clichés and the tacky, unconvincing sentimentality of the film’s final moments, the film is actually refreshingly heartfelt. As for the comedy, the film is knowingly contrived in the kind of way that would seem lazy if you weren’t prepared to just go with it. It isn’t particularly funny, though there are a few laughs. 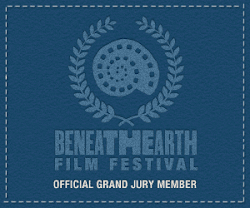 It is likable as light entertainment – being more fun than funny – and it has a pleasing lightness of touch, that gestures towards serious problems in a way that marks them out for seriousness without allowing them to overwhelm what is essentially a happy film about overcoming failure and resolving one’s confused take on modern masculinity. As poor as the wedding scenes are, by the time we reach them the film has built a certain degree of good will, so that what would be awful in a lesser film is merely awkward here. 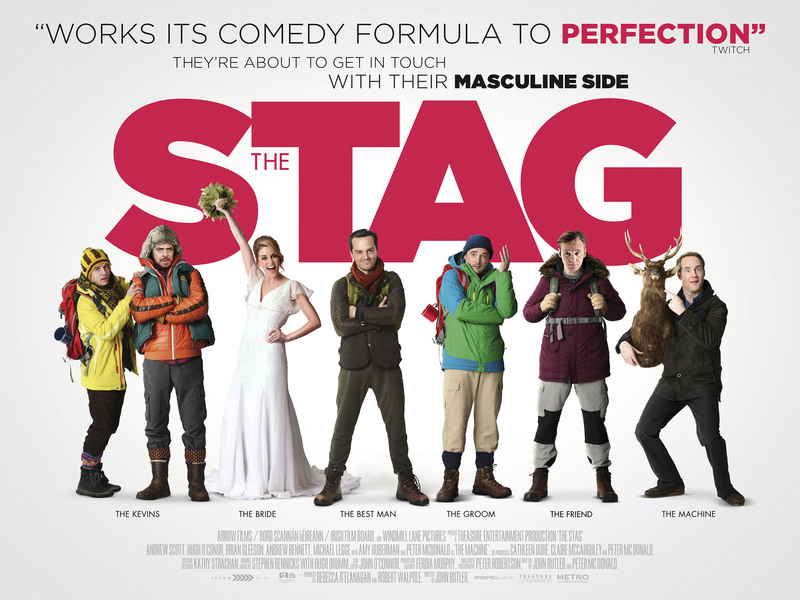 The Stag is surprisingly likable with good performances that make up for a somewhat lazy script. It is nice to see an Irish film being optimistic for once, even if the film’s final moments would suggest that such hopefulness requires you to live in an extreme state of denial. And while this kind of light entertainment will most likely never attain the heights of the best Irish films, all of which is much darker (see Rocky Road to Dublin, In The Name of the Father, Garage, In Bruges and What Richard Did), it is nice to see Irish cinema being cheery and proud to be Irish for once.